All of us spend our lives seeking something: a community, security, love, a purpose, God... In What Are You looking For? Joan Chittister offers a letter to today's seekers, with insights gleaned from her 65 years as a woman religious. 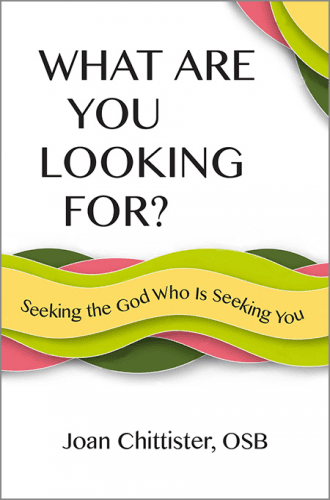 Aware that many seekers consider entering a religious community��even though it means committing to a way of life that is counter-cultural and challenging, with an uncertain future��Sister Joan writes about the struggles and possibilities of religious life with warmth, candor, and clarity. She explores the connection between celibacy and love, the real meaning of obedience, and the ways religious life has adapted to changing times. And she answers the question at the root of so much discernment: What will happen to me if I take this path? Optimistic yet realistic, What Are You Looking For? 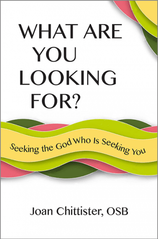 is a word of encouragement for anyone who feels called deeper into life with God and others.